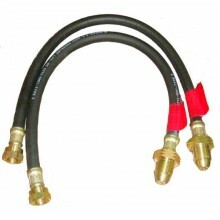 High pressure black propane gas hose. 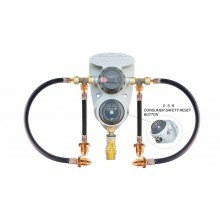 20 bar working pressure, 69 bar burst pressure. A self adhesiv.. 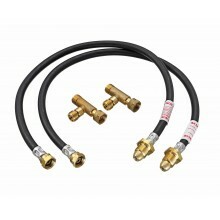 This kit consists of 2 x 33" Propane Pig Tails POL X W20, plus 2 x Tee pieces For use with ..
Automatic changeover regulators ensure first stage pressure reduction and a continuous gas supply to..
Automatic changeover regulators ensure first stage pressure reduction and a continuous gas suppl..
Lifestyle Automatic Change Over Valve. 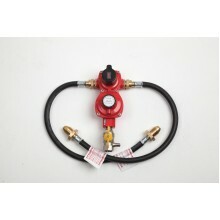 For use with two Propane gas cylinders. 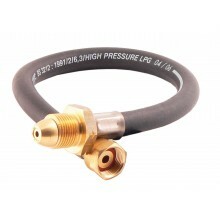 The valve will us..
High pressure black propane gas hose. 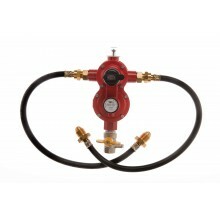 20 bar working pressure, 69 bar burst pressure. 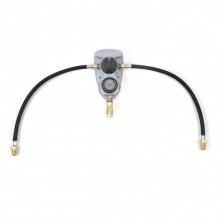 A self adh..
TPA Automatic Changeover Valve with UPSO for use with Propane Gas Cylinders. Automatic chan..